Rashguard, Long Sleeve is not available to United States (US). Polypropylene thermal ZERO-TECH base layer rash vest, with long sleeves for extra protection and super soft plush interior finish for comfort and insulation. 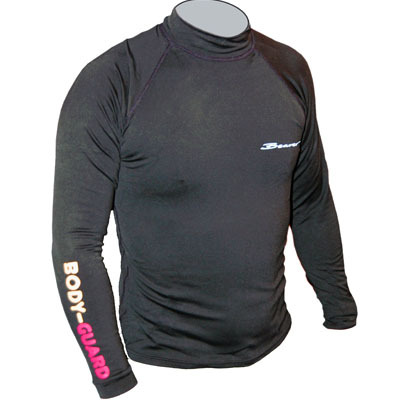 Ideal for use under a wet or dry suit to provide that layer of extra warmth when required. Also perfect for providing protection from the potential dangers of the Ocean, such as Jelly Fish, Sharp Coral etc. and harmful sun rays. Amazingly lightweight and flexible, please see sizing charts for size information.